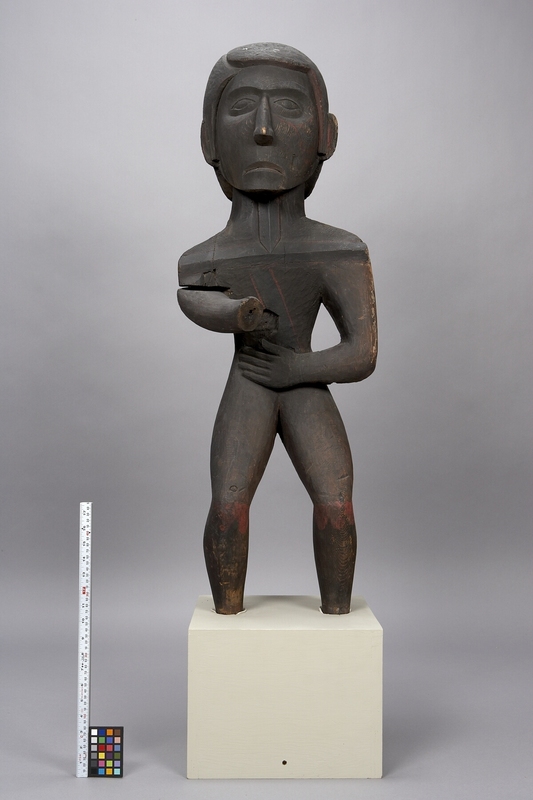 Item number A17148 from the MOA: University of British Columbia. 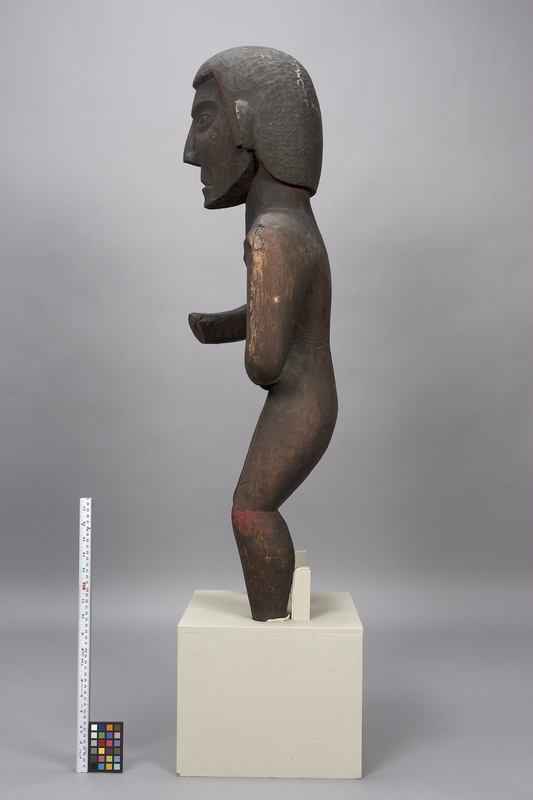 Human figure, with traces of a red painted design on face, chest and legs. Number written on back in white. Stand for figure. Right hand of figure is missing. Would have been displayed publicly, perhaps during a feast or potlatch, to depict or honor or commemorate the greatness of a chief, or the visiting rival. Such images often had impressive and status-laden names and were an important means of communication in the competition for wealth and prestige. 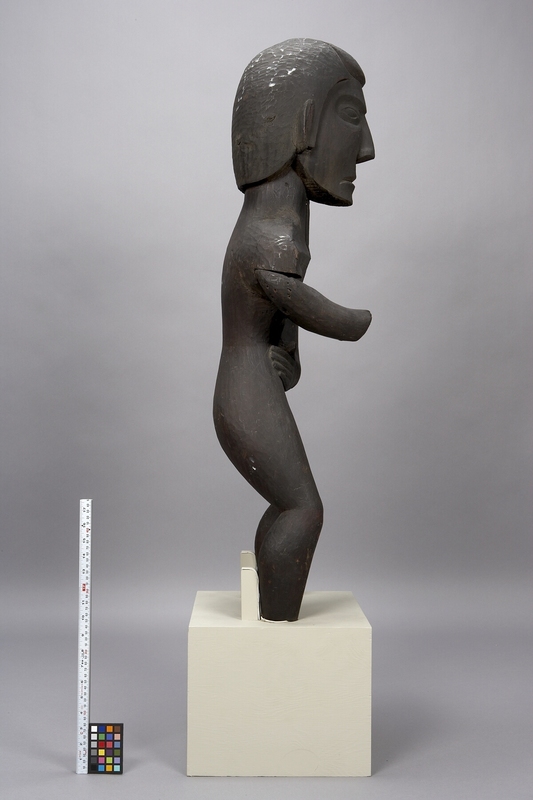 The horizontal ridge across the shoulders and the vertical inset at the throat make an unusual 'T' shape which might have been embellished with sheets of copper, or might have simply represented a distinctively shaped copper. 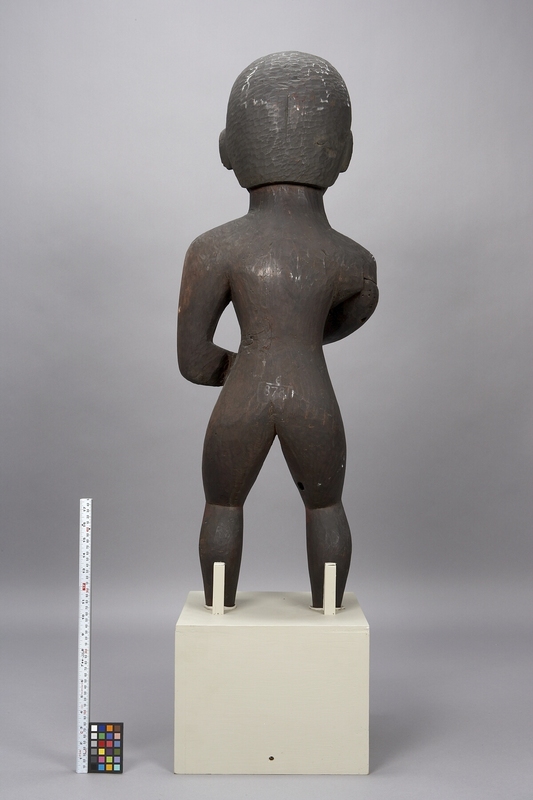 A true copper or a wooden replica may have been held by the figure.